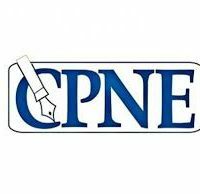 ISLAMABAD: Council of Pakistan Newspaper Editors (CPNE), while declaring the current situation of press freedom in the country “complicated and unsatisfactory”, has said that editors and journalists are forced to self-censor their work amid pressure from certain quarters. According to a statement issued here, this was stated in a resolution that was passed during a standing committee meeting of the council, chaired by CPNE President Arif Nizami. The resolution further stated that some media outlets complain of certain hurdles they face in the distribution of newspapers. It also advised the editors of all affected newspapers to reach out to CPNE in this regard so that they can come up with a solution with the consultation of all stakeholders. Expressing concern over the current situation of media in Balochistan, the resolution stated that unannounced censorship in the province had put the future of democratic process and transparency of the forthcoming polls at risk while also raising doubts. The meeting also condemned the intimidation of Marvi Sarmad, Gul Bukhari, Asad Kharral and other media representatives, and while expressing solidarity, appealed to all state and non-state actors to refrain from such unconstitutional practices in the future.